The Northern Territory, Western Australia and Victoria have been confirmed as the nation’s leading states in terms of planning policy and development application processes and procedures. In its most recent report card, which ranks the performance of states and territories against 10 criteria, the Property Council of Australia said policy maker awareness about the importance of effective development application systems was improving. 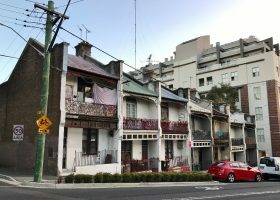 “Over the past decade, most, if not all state and territory governments have attempted to undertake reform to improve housing affordability, albeit with mixed and often isolated results,” the Council said in its report. Leading the pack was the Northern Territory, which also led the way in 2009 and 2012. Already having been recognised for its straightforward development application process, the Territory was commended for its introduction of a new Planning Commission in 2013, which the Council said would help to progress strategic plans and policies as well as providing independent advice. Close behind is Western Australia, which has the most comprehensive reform blueprint of any state and has chipped away handsomely at its reform agenda, while Victoria was also ‘leading by example’ with its proactive and businesslike metropolitan strategy and accompanying new planning authority. At the other end of the scale, lacklustre performance in areas of having objective rules and tests, private sector involvement and an absence of built-in improvement systems saw Tasmania come in last notwithstanding the recent introduction of a Planning Reform Taskforce with a clear remit to drive change and simplification. Despite record levels of building activity, meanwhile, New South Wales sits second from the bottom notwithstanding the existence of a strong appeals process. The Council cited lacklustre performance in policy development, objective rules and tests and built-in improvement mechanisms, saying the state delivered ‘too little, too late’ with the ‘particularly disappointing’ planned overhaul of the Planning and Environment Act being derailed in late 2013 amid a hostile Senate. Property Council of Australia chief executive officer Ken Morrison stressed that the importance of effective policy cannot be understated. “Planning systems have a direct impact on housing affordability,” he said. “When they’re efficient, streamlined and fair they reduce the time it takes to build new houses, and shrink the cost of doing so. Could speed up land releases and expand the number of land uses categorised as ‘permitted’ and therefore exempt from the need for development consent. Strategic planning processes can be cumbersome.